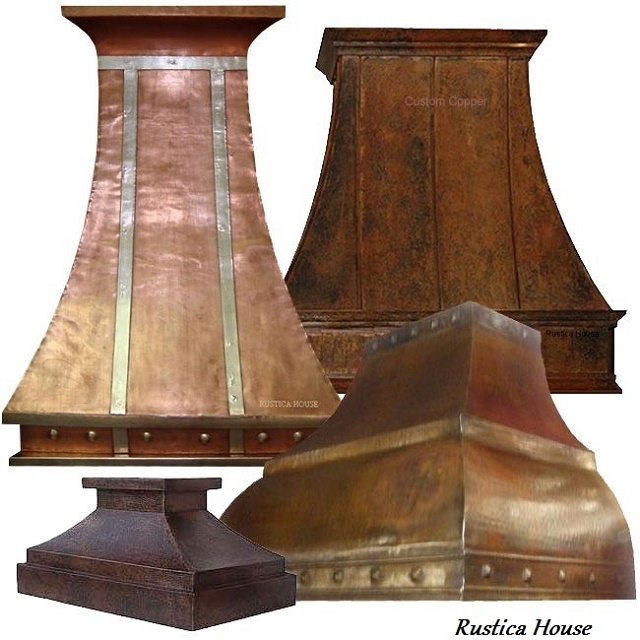 Click the button below to add the Copper Range Hood '0213' to your wish list. Indeed, a large range requires a large kitchen hood. Made of copper hood '0213' might be the appliance you were looking for. By using deep curve, its designer created wide venting area which extends into the narrow chimney finished with a crown molding. The hood on the image was fabricated in coffee. Additional choices are honey, antique, polished, oxidized green colored and natural which has the most contrasting tones. When requested, it can be modified for any brand exhaust equipment. Select the option if required to have the hood customized. As an alternative buy this large copper kitchen hood with our economy Teka ventilator included. Delivery takes about a month or longer in case of made-to-order appliances.